Can't wait for the premiere episodes! Because I just started watching Kdramas since last year so I don’t know a lot of the cast members. But luckily I know one , the female lead haha. Saw her in maids. Hello everyone!! I'm looking forward to Priest, it looks promising and I hope it will be as good as it looks! Tommorow is D-Day! So excited! Just camping out here preparing myself hope to see this page come alive! Just finished first ep. I am trying hard to not compare it with TG and its too soon to make a judgement yet. Waiting to watch the second ep. So honestly i think that this drama is worthy to watch and it's a pretty good refresher for exorcism after TG. Honestly is worth a watch. Low key it really gives a vibe of TG with the New Future Trio haha..
@akiera Same, i too try not to compare between the two dramas but it's hard not too hahaha.So many triggers. Still trying to scrub TG off my mind.. LOL.. Trying hard not to compare here as it's not really getting my attention. Guess the demons/possession here are pretty random and our brain is kinda safe at the moment since they might not be link. But for sure Priest is a guaranteed ‘MUST’ watch during the daytime drama. 3) what is THAT thing? I can't watch episode 2 tomorrow during the daytime due to school... I'll join in the discussion latest by Tuesday... don't think I'll have the heart to watch at night. Hope to see more coming in the party..LOL! I just finished both episodes. For now, I am gonna keep watching this. So far both the exorcism intensity and each lead's background past intrigued me. 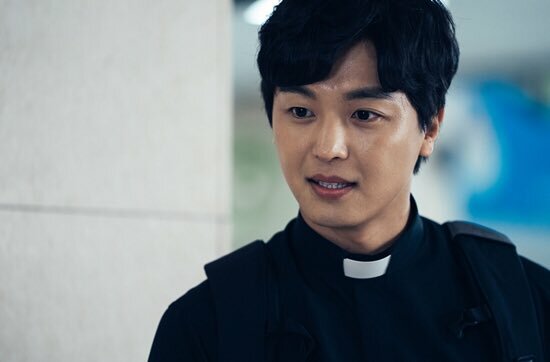 Priest Michael / Oh Soo Min (Yeon Woo Jin character) seems to have the same ability as Hwa Pyung to see demon when he was young, but the adult Priest Michael doesn't have that ability anymore. And like Mateo, he seems to have a good knack for exorcism too. And again, the-refuse-to-believe-even-I-have-seen-the-real-deal is the female lead. Haha! Watching Dr. Ham (Jung Yoo Mi character) questioning the actions of the priests and keep accusing them reminds me of Gil Young. Haha! My guess is that, Michael saw his mother died because of possession in the midst of his father disbelief and thus turned into an exorcist priest, while Dr. Ham might've witnessed the death of her family member during exorcism in the absence of medical support, and thus turned her back from believing the existence of devil and possession, and be religious in medicine instead. That might explain how she and Priest Moon knew each other. It is possibly one strong devil that jump possessed from one person to another. As usual, it dwells in human strong desire, weak mind and resentment. I watched episode 2 without subtitle, I guess the mother might have wish for something she should not have and said something the child may have heard and thus the devil took the opportunity to possess the child. The devil is so stubborn to not reveal its name during exorcism and even imposing itself as God ("Yahweh" on the glass). I think Michael and Dr. Ham have opposite experience with the same devil / entity in the past. When the possessed child, Michael and Dr. Ham in the same room in the basement, the devil said that they finally meet again altogether. On the exorcism scene.. I don't know how many times I clap and clap for the brilliant acting by the child. I am WOWed! I think someone from OCN might've lurked into The Guest forum and saw our comments about Latin incantations not being used in the drama and incorporate our opinion into Priest (yeah, right ). The first two episodes were so intense that I am increasing my expectation meter for the following episodes. The cliffhanger, OMG! When the camera seems to be suspiciously keep showing the nurse, from coughing to lying down to sleep, I knew my feeling was right that she is now possessed! She is the one who stays with the child in the car and at the new hospital where he transferred to. I kind of feel that the nurse would be next when I saw the blurry glimpse of her playing with the child at the background when Dr. Ham talking to the mom. Hmmm.. She probably have some resentment towards Dr. Ham. Or something else. Let's see next week what's going to be unfold. 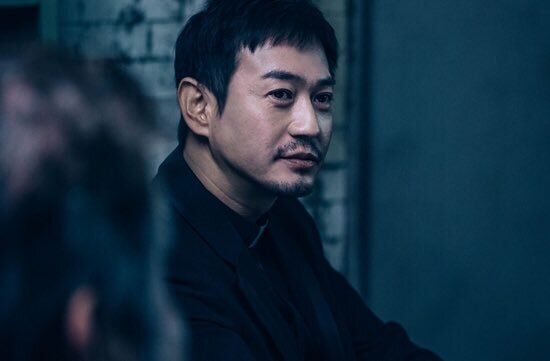 Overall, for me, the premiere episodes of Priest a bit lacking in narration (perhaps they are done with Devil, Possession and Exorcism 101 in The Guest) and the background story seems to be not that catching my attention (except that head-twisting scene...phewh! ), but their bold move to jump right into intense exorcism by a brilliant child actor and their group seems to consist of more people (than the dubbed Trinity in The Guest) - speed driver / tech geek (LOL), detective, and gallery owner(?) - does sparks my curiosity how these people are related to each other. Besides, I also have the same question as Priest Moon - why the devil go after Father Ignatius? It looks to me like the devil want to settle a score with him. I hope, within the premise of permitted exorcism ritual, I could see more and more intense scene and brilliant acting of the possessed! @ellelyana88 I have yet to watch episode 2 so I can't comment much but you are right about the background story. I felt that we were not properly introduced on the possession part and suddenly we were taken to present day. The backstory wasn't strong. But of course, I'll still watch episode 2 to see if it's worth continuing as right now, I'm still on the fence after watching episode 1. @mrsj3n I think this is how they wanted the audience to feel. I have a feeling that their backstory especially for OSM will play a big part in this entire story. It might ruin the trio’s relationship or it might build up even more. Obviously based on his backstory, there are definitely more things in which they are waiting for it to be shown in the later episodes. I have to agree with what @ellelyana88 have compared. They definitely give a bit of TG vibes especially with the skeptic doctor who always seem to be at the exorcism at the wrong time? Back to their backstory, I think the older priest have something to do with the two youngins. Which as of now is too inappropriate to tell, so probably we will have to watch more for it to expand further cause definitely it’s more than that. (I believe.) Especially when the possessed knew OSM name and ask him do you not know? Old Priest was also told by the possessed he did a mistake..,What mistake? Could it be connect to OSM’s mother’s death.